Also Féile Peil na nÓg 2014 is taking place this weekend. We are hosting Warwickshire GAA from Thursday to Sunday. There will be a welcome at Robert McCallion Memorial Park on Thursday evening and the football will commence on Friday with games been payed at The Amenity Park and Robert McCallion Memorial Park on Friday and Saturday and the Finals in the Connacht Centre of Excellence on Sunday. There will be a disco in the Cultural Centre on Friday evening. 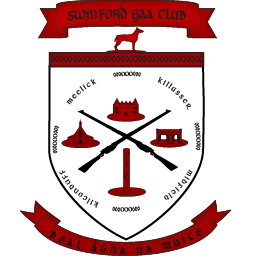 Swinford games are as follows. There will be other games at the two venues in Swinford on the Friday and Saturday.